Samantha and I had the pleasure of visiting the great city of New Orleans over this spring break. Despite battling through a sinus infection (Samantha) and some sort of throat nastiness (me), and being the least partying people in the French Quarter (in bed by 10:30), we had a great time experiencing the sights and sounds of the Crescent City. One of the unexpected gems during our brief vacation was the Voodoo Tour. We made reservations with Tree (yes, his name) of Racontours, billed on Tripadvisor as the number one tour in the French Quarter. While occasionally a bit of a rogue, Tree’s colorful character danced our small group through the French Quarter, delighting us with the rich history of the former French and Spanish colonial periods. I expected a New Orleans Voodoo Tour to aggrandize the stereotypes associated with the practice. I anticipated bloody stories of animal and human sacrifices, of voodoo dolls and their unassuming victims, of black magic and demons. I was wrong. So many of my assumptions fell flat, no more than uninformed drivel handed to me by pop culture. 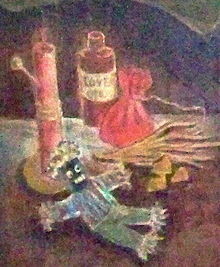 Voodoo at its roots worships ancestral spirits. Certain spirits have gained a reputation for answering particular prayers, and those have gained more of a following than others. Voodoo dolls are a way of inviting healing powers and luck into your life. They can also be used as a way to extrinsically work out personal grudges without bringing actual harm to others. 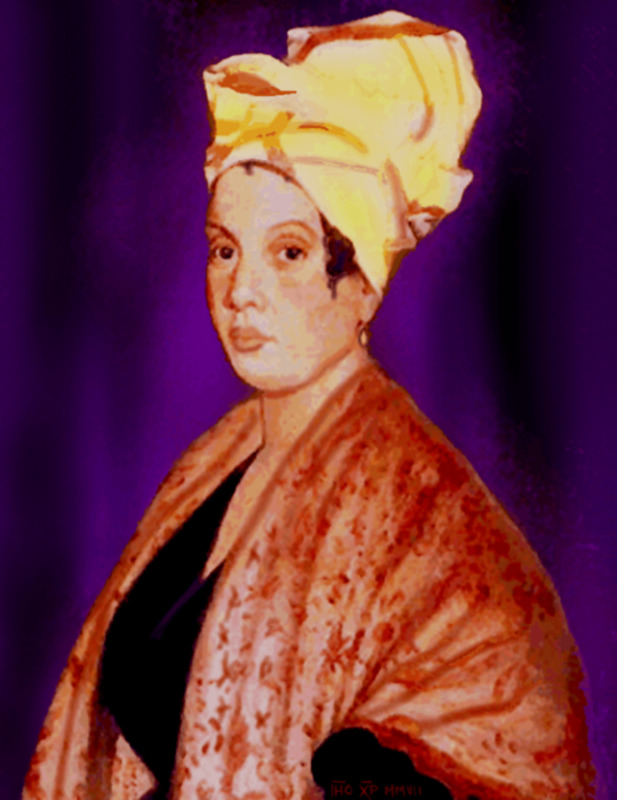 Louisiana Voodoo adopted many Catholic elements in the 1800s through the teachings of Voodoo Queen Marie Laveau. A devout Catholic herself, Laveau drew her Voodoo followers into the church by drawing comparisons between the Voodoo’s spirits and the Cult of the Saints. The Voodoo spirit of Legba fulfilled the same role as St. Peter - holding the keys to heaven. Aida Wedo and the Blessed Virgin, Ghèdè and St. Expeditè, Ogun and St. Jude, all merged. Marie Laveau taught that they were expressions of the same forces, the same spirits, and praying to one would mean praying to the other. Taken out of context, glorified for entertainment value, Voodoo makes for good horror. At its core, practiced in its intended form, Voodoo expresses an adapted version of an ancient tradition passed down by word-of-mouth through many generations by people struggling to live through more hardship than you or I could imagine. Essentially, Voodoo helps people to find spiritual healing through prayer and meditation. While its practices may appear foreign, its goals strike me as similar to every major religion I know. Christianity taken out of context could look equally as ridiculous as Voodoo’s pop culture portrayal. Masses of people who once a week grow hungry for the blood and flesh of their creator, who incidentally is now undead. Zombies and Vampires? Believe me, I don’t make this point to ridicule anyone’s beliefs, but I think the point is valid. When taken out of context, just about anything can sound malevolent. 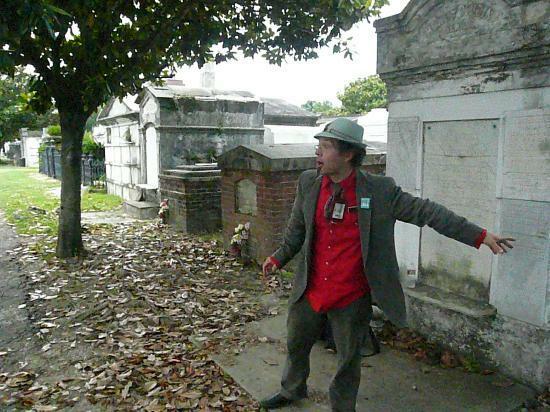 If you find yourself in New Orleans with four or five hours to spare, jump on the Voodoo Tour with Tree. Besides a good time with an entertaining guide, the history of the Voodoo world will unfold before your eyes in a very enlightening way. Yeah Y'Right!! Good One Frank! And To Be Honest And Open With You Right Now, I'm Going To Steal The Zombie/Jesus Connection, BECAUSE THAT'S AWESOME!!! Thanks For Taking My Tour, Laissez Les Bon Temps Rouler! !